The Carl Towley Award is JEA’s highest honor and is presented to a JEA member whose work is unusually beneficial and of superior value to the national JEA and to scholastic journalism. National JEA membership is required. Since 1985, only one award is presented each year. The winner receives a lifetime membership to JEA, is asked to speak at the Saturday awards luncheon at the fall convention and has his or her travel and hotel paid for the fall convention. JEA members are encouraged to nominate individuals for this award. Nominations of unsuccessful candidates are retained for a maximum of two additional years and the original nominator is invited to send updated information by the July 15 deadline. The Carl Towley Award, JEA’s highest tribute to a member, is given in honor of its first executive secretary. The National Association of Journalism Directors, as JEA was originally known, grew under his leadership. Carl Towley (1907-1959) wrote letters to administrators of high schools and colleges throughout the nation, calling attention to the importance of journalism courses. His action was triggered by the facts that many journalism teachers were not adequately prepared to teach journalism or advise student publications and also that among 556 winners in the 1956 National Merit Scholarship competition, only three students planned to major in journalism. Towley established commissions, planned programs, strengthened cooperative efforts with other scholastic journalism organizations and created projects to help journalism students and their advisers develop journalistic skills. He chaired a Commission on the Status of Journalism and planned a series of articles in educational journals slanted to interest administrators. 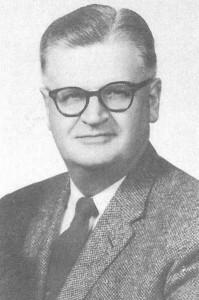 “Blueprint for Tomorrow” was the theme for the Hopkins (Minn.) High School yearbook, The Warrior, in 1959 when the staff made a surprise dedication to their adviser, Carl Towley. We take pride in dedicating the 1959 Warrior to you — Carl Towley. Please fill out this form to nominate an individual for the Carl Towley Award. Include with the nomination form your letter of recommendation explaining your relationship with the nominee. Describe the candidate’s effort to support JEA on a national, regional, state and/or local level, when applicable. Include nominee’s involvement in local, state, regional or national scholastic journalism organizations and work done to improve scholastic journalism. JEA’s most honored winners exemplify the same dedication to JEA and to scholastic journalism that Carl Towley exhibited. Carol Lange, CJE, Reston, Va.